LOUISIANA: (CALL TO ACTION!) A bill, HB 38, that would deny people who smoke between the ages of 18 – 21 access to safer alternatives is waiting to be scheduled for a hearing in the House Committee on Administration of Criminal Justice. ACT NOW! Louisiana – Stop Tobacco AND Vaping 21! 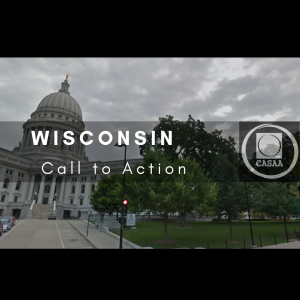 WISCONSIN: (CALL TO ACTION!) 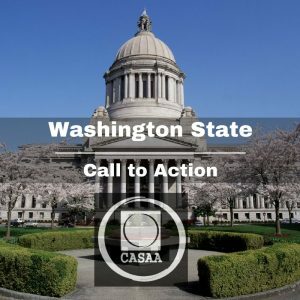 Stop outrageous 71% retail AND floor tax in Governor’s proposed budget! THREE PUBLIC HEARINGS scheduled in April (next is 4/10). Please plan to attend & speak or submit written comment. Most effective advocacy is to SHOW UP!! WI – Stop an outrageous tax on vaping! WASHINGTON: (CALL TO ACTION!) Stop extra taxes on life-saving products! Amended bill would tax both sales AND existing inventory of vapor and heat-not-burn products. ACT NOW! OXFORD, MISSISSIPPI: (HEADS UP!) Some businesses are apparently too helpless to ban vaping for themselves in their business, so ask city officials to deny ALL businesses the freedom to allow vaping. Oppose indoor bans that mislead public to think it’s as hazardous as smoking! ILLINOIS: (UPDATE) State becomes first in midwest to deny early adult #smokers access to far safer alternatives. WARNING: the inefficacy of such laws will open door to harsher regulation and taxes. IN THE NEWS: (CASAA) We are pleased and honored to announce some welcome additions to our Board of Directors: Doug Carter, Danielle Jones and Chad Jones. Please welcome them to the team! This entry was posted in All posts, Call to Action, e cigarettes, Illinois, Louisiana, Mississippi. Washington, News, news-all, Smokeless Tobacco, Vaping, Vaping News, Wisconsin. Bookmark the permalink.